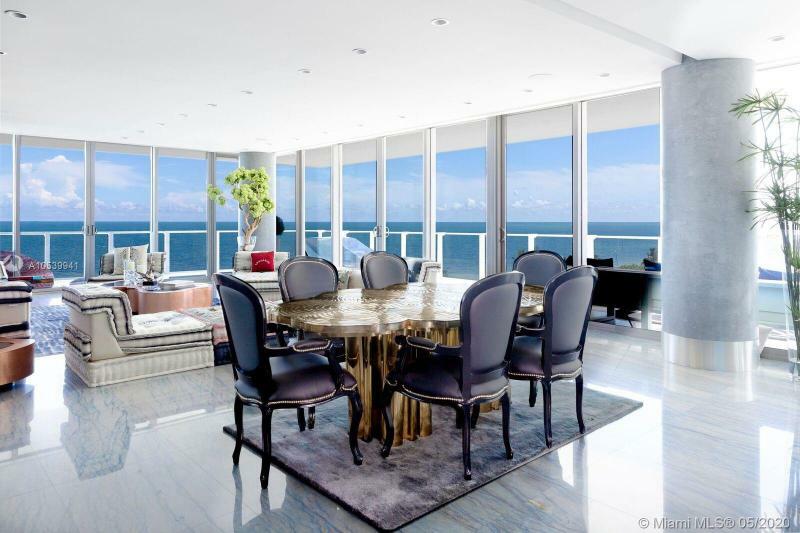 Stunning home in luxurious Oceana Condominium done with exquisite and exceptional custom finishes throughout. This elegant, spacious and full of natural light two story residence, offers an over-sized master bedroom, plus 4 additional bedrooms all on the second level plus the staff room and office on the first level for a total of 7 bedrooms / 5.5 bathrooms. With 5,074 Sq ft under A/C this amazing home has an incredible open floor plan, beautiful pool and terrace, plus BBQ area and is located in a gated and very secure community. Enjoy the ocean, the beach, gym/spa, restaurant, tennis and the Key Biscayne lifestyle at its best.